Imagine living a life of abuse – mental, cult religion, and hidden mixed orientation marriage – where all you did was feel neglected. Now imagine that this went for almost 40 years and you had been so brainwashed and gaslighted that you believed this was the way life was meant to be. From cult religious parents to marrying a man who even to this day refuses to admit he is gay, even though he acts on it and pretends it’s all your story, not his. Yes, this is the life and story of a woman who has endured cults and mixed orientation marriage that led her to believe she wasn’t worthy, until she woke up and realized she was. 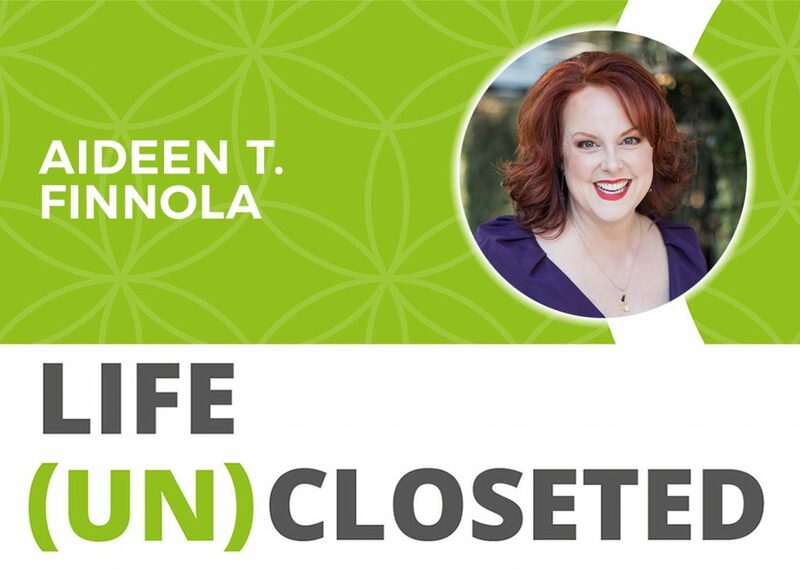 Aideen (Aidy) T. Finnloa is now an unapologetic survivor who is coming out of the closet to share her life story so that others can hopefully see the light and move out of the darkness when they are being emotionally and psychologically abused. Aideen T. Finnola is an unapologetic and empowered survivor of and thriver after physical, emotional, psychological, and religious abuse. For the first two decades of her life, she was raised by abusive parents who were zealous members of a religious cult; for the second two decades of her life, she was unsuspectingly married to a closeted gay man who was emotionally and psychologically abusive. Today, she is a practicing Martha Beck-trained life coach, public speaker, and author. She coaches and speaks all over the world, teaching others how to reclaim their lives by transmuting their pain into empowerment. She specializes in coaching straight spouses, evangelicals, and cult survivors. Her autobiography detailing the insights she has gained on her own healing journey to reclaim her life is called My Exquisite Purple Life, Insights from a Woman Who Never Should Have Made It but Did. My Exquisite Purple Life, Insights from a Woman Who Never Should Have Made It but Did. Author Aideen T. Finnola’s life has consisted of a series of trials and obstacles. She was raised by abusive parents who joined a Christian cult when she was eight. She left the cult at twenty-three only to go straight into a twenty-year marriage with an abusive husband who, as a closeted gay man, had falsely represented himself from the start. 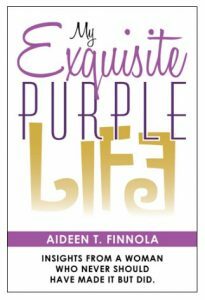 In My Exquisite Purple Life, Finnola offers a collection of essays that share the many challenges she’s faced and the lessons learned after healing. She tells how, by her middle thirties, after having suffered decades of abuse, neglect, and rejection from even before she was born, she was a broken woman. Finnola was a pack-a-day smoker, a daily drinker, chronically overweight, had had two extramarital affairs, and was on a high dose of antidepressants because she seriously contemplated suicide more than once. By all rights and reasons, she never should have made it, but she did. ​In My Exquisite Purple Life, Finnola offers a collection of stories from her life that share the many challenges she’s faced and the wisdom she’s gained through healing her pain. It reveals the techniques and realizations that aided her transformation, offering others encouragement, hope, and inspiration. ​Aideen T. Finnola is a survivor of physical, emotional, psychological, and religious abuse. Finnola is a Martha Beck trained life coach, speaker, and author. She coaches and speaks all over the world, teaching others how to transmute their pain into empowerment.